What happens when Mennonites, Methodists, and a Mayor make lunch? What do you get when Mennonites, Methodists, and a Mayor make lunch? Goulash! Last winter Rachel Hostetler and I volunteered at the Willa Gill Food Kitchen. I knew that Rainbow volunteers helped serve lunch at Willa Gill periodically and so I thought I’d take a turn. 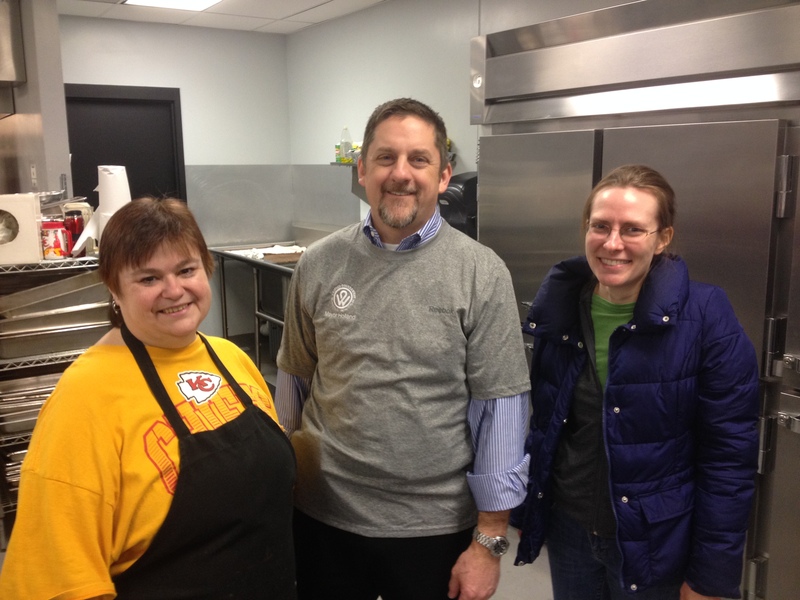 Little did I know that I would be working alongside Kansas City, KS Mayor Mark Holland (pictured here with Rachel Hostetler and Kathy Isabel) . The Food Kitchen Director Michael Serrano was too shy to let me photograph him, but he wasn’t bashful about the history of the place known as The Wilhelmina “Willa” Gill Center. From 1970-1987 Mrs. Wilhelmina “Willa” Gill was the Emergency Assistance Services Director of Catholic Social Service in Wyandotte County. Eventually she was inspired to initiate a free meal program to those persons homeless and hungry. This ministry, initially known as St. Mary’s Food Kitchen, would eventually end up in the basement of the historical St. Mary’s Catholic Church. In 1997 thanks to funds initiated by Mayor Joseph Steineger, this free meal program, now called Hot Lunch Service, Inc, moved to Wilhelmina Gill Multi-Service Center known affectionately as “Willa” Gill. Thanks to volunteers from 51 area churches and one synagogue, the Willa Gill Food Kitchen continues to serve lunch seven days a week. Rainbow and Trinity Methodist Church team up every other month to serve a Friday lunch. Our next scheduled time is this coming Friday, August 7 from 10:30 am-1:00 pm. 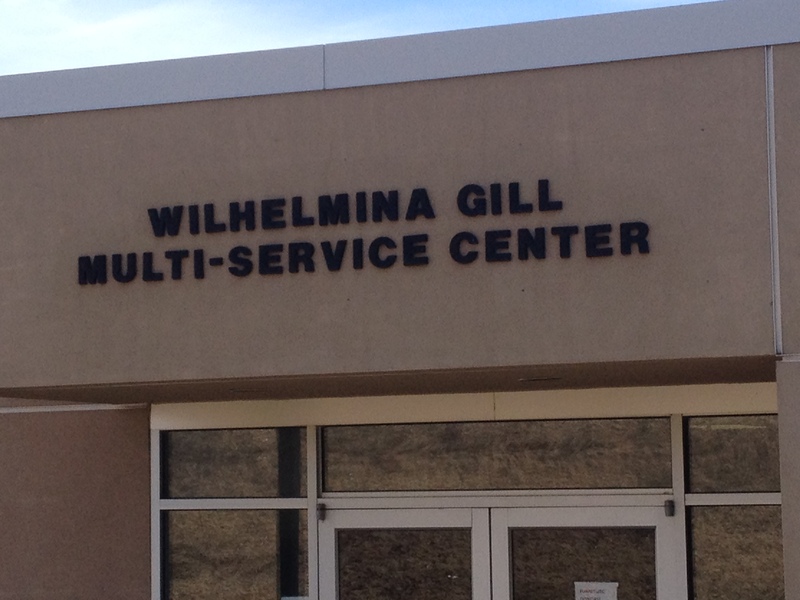 Willa Gill is located at 645 Nebraska Ave in downtown Kansas City, KS. If you are available and interested in helping serve food, please contact Rachel Hostetler at rachelh@rainbowmennonite.org. Who knows, maybe the Mayor will be back! 1 Response to What happens when Mennonites, Methodists, and a Mayor make lunch?